The Office of the Federal Ombudsman of Pakistan, has established the Grievance Commissioner Cell for Overseas Pakistanis in Federal Ombudsman Secretariat for Overseas Pakistanis under Section (7) of the Federal Ombudsman Institutional Reforms Act, 2013, to address the invidual and systematic issues of the Overseas Pakistanis related to the Federal Goverment Ministries, Departments, Organizations and Agencies. Federal (Wafaqi Mohtasib) Ombudsman Secretariat Head Office, 36-Constitution Avenue, Opp. Supreme Court, G-5/2″ Islamabad, Pakistan. Name Designation Ph. Office E-mail Cell No. 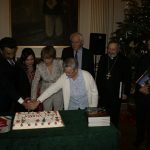 A grand Christmas Gala and book launching was held by the Embassy here this evening. 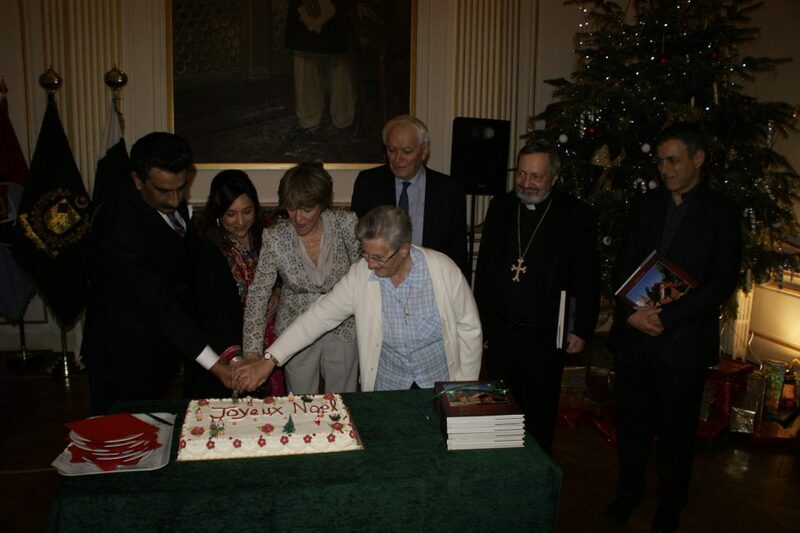 It was first ever Christmas related event that was held by the Embassy of Pakistan here in Paris. Senator Jean-Claude Boulard was the Chief Guest of the event. 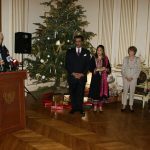 Speaking on the occasion, the ambassador of Pakistan in France Mr. Ghalib Iqbal said that holding of this Christmas Dinner is not only a gesture of solidarity with our French friends, but also with Pakistani Christians living in France. During his speech the ambassador highlighted the basic principles of the rights given to Pakistani minorities by its constitution. He quoted from Quaid e Azam Mohammad Ali Jinnah who unequivocally declared that minorities are free to go to their mosques or temples. Religion of a citizen has nothing to do with the affairs of the state. He said that by holding this event we are sending a message across that we share the moments of joy and festivity with our Christian brethren. He said that Pakistan has been fighting terrorism and extremism with all its commitment and might. He reminded that Pakistan has lost thousands of lives and has suffered losses of billions to its economy in this war. On this occasion, at ambassador’s announcement, one-minute silence was observed to express solidarity with the victims of recent terror attacks in Paris. 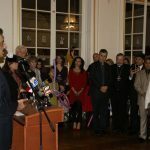 The leaders of Pakistani Christians community in France also spoke on the occasion. They appreciated and expressed their gratitude of the embassy for holding this event. Variety of Pakistani foods was served to the guests. National anthems of Pakistan and France were played. Christmas songs were presented by the children, women and elders together. Senator Jean-Claude Boulard also spoke on the occasion. He appreciated the holding of this dinner. He acknowledged the sacrifices of Pakistan in eliminating terrorism and extremism. He also spoke about strong bilateral relations between France and Pakistan and expressed his confidence that they will continue to grow further in coming days.